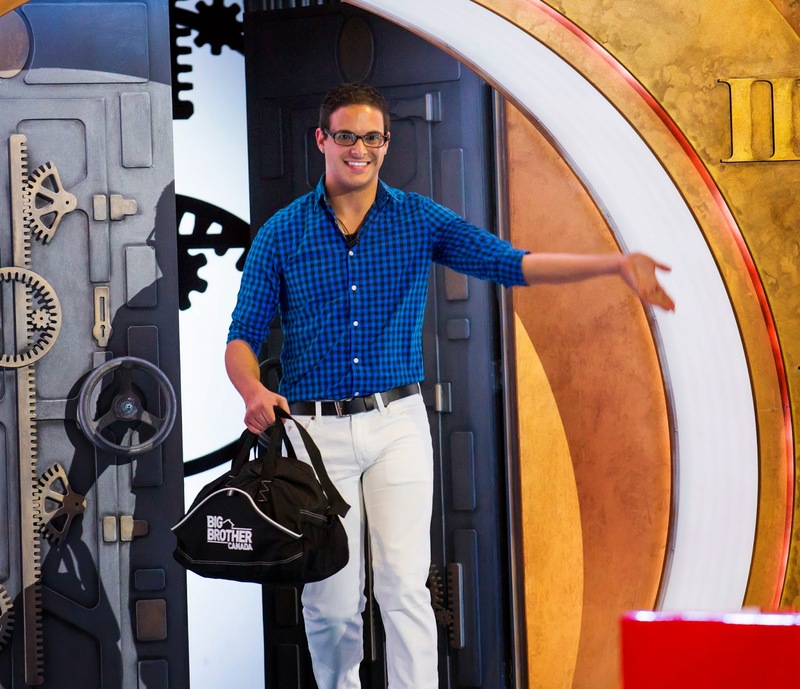 When last we saw Bruno, he was just about to announce what he was going to do with his Power of Veto. Then Big Brother interrupts to tell him to go to the Vault. Godfrey comments that it's never a good thing when someone goes in there. Yep. Especially when it's the middle of what should be a fairly straightforward Veto Ceremony. 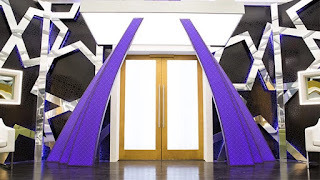 In the Vault, Bruno opens the envelope and describes the Twisto's Veto Twist. He has the option to veto both nominations if he wants. He considers the possibility of breaking up the showmances by replacing his original nominations with Kevin and Pilar or Zach and Ashley. But no, he keeps his nominations the same. Bad move Bruno. Bad move. Even Godfrey is pissed Bruno didn't use the double veto - he says when Canada gives you a power, you better use it. Zach & JP. The bigger they are, the harder they fall. plater, but he also ignored a move that Canada voted in. He didn't see it as a clue that we were trying to give him...that he has a bigger threat than Sarah and Johnny peering over his shoulder. An immediate threat. 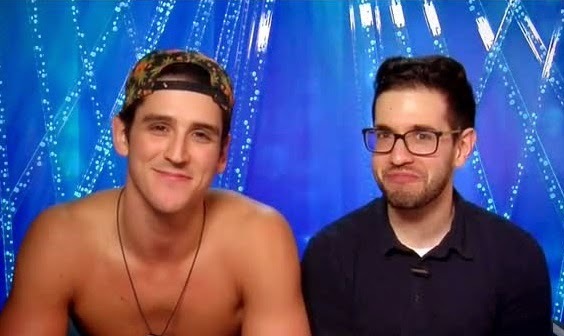 And it's not like Bruno doesn't know about Zach and Jordan's alliance. He knows. They haven't exactly been discreet. In fact they have been taking great pleasure in flaunting their little secret, and seem to think they are in complete control of the house. 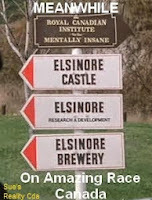 With all the drama in the house, you'd think there would be enough to fill the hour long episode. I guess not. TPTB devised a terrible segment called BBTV. 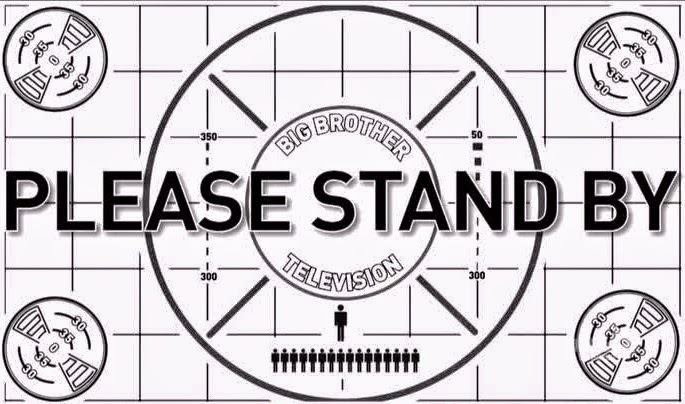 The HGs were tasked with creating several TV shows which were "broadcast" over the live feeds. If they were successful, Big Brother would reward them with a wrap party. The fans were asked to promote the hashtag #BBTV. Much of it was garbage. But the clear winner was Sarah, who shone in several segments. Her best effort was as Judge Sarah - a morally inappropriate Judge Judy whose tagline was "You're guilty! Til you're proven innocent!" Other HGs were put on trial for a variety of offences. The best by far was Bruno, tried for lying about his profession. 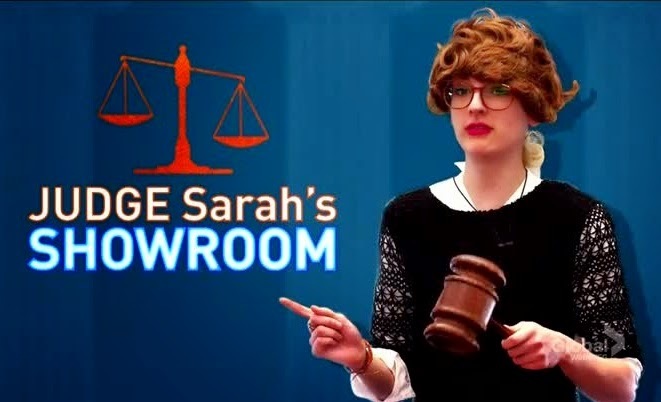 Judge Sarah: "You've laid cement, but have ya ever laid a pipe?" some of the same outfits and costumes. Ashleigh wore Heather's workout outfit; Pilar wore Roro's hotdog costume; and Bruno was in Jon's big baby gear. Bruno is suddenly called to the DR, where the real Jon Pardy is hiding. Jon puts on the outfit and comes out yelling "Wake up, Canada. Wake up" and the HGs go nuts. The HGS completed the task and were rewarded with booze. Lots of booze. Inappropriate behaviour followed, but we didn't get to see any of it. Damn it. It seems us fans who helped to promote the show in getting their hashtag trending were rewarded with yet another feeds block. Thanks, GlobalTV. Don't even try to ask us to promote a hashtag again. Don't even. There was also another sequence shown out of order. Sarah and Johnny got together and figured out all the alliances in the house - no small feat I may add, using gummy bears. They even realized that Zach and Jordan have been playing them big time. The editing made it seem as though this happened right before the eviction vote. It didn't. Sarah and Johnny did this the night before the PoV Ceremony, without knowing anything about the Double Eviction twist. They were going to go talk to Bruno about Zach and Jordan, but they let the moment slip away. Another failed opportunity because that same morning Bruno began seriously doubting Zach's loyalty to the Chop Shop. It could have been a game changer. will be given a second chance. Also, the four previous evictees have in fact been sequestered together in a cottage somewhere in Ontario. They have been sharing information and giving each other updates. Arisa teases us by describing the comp they will face as something that has never been seen before on Big Brother Canada. This comp will be shown this Sunday at 7. 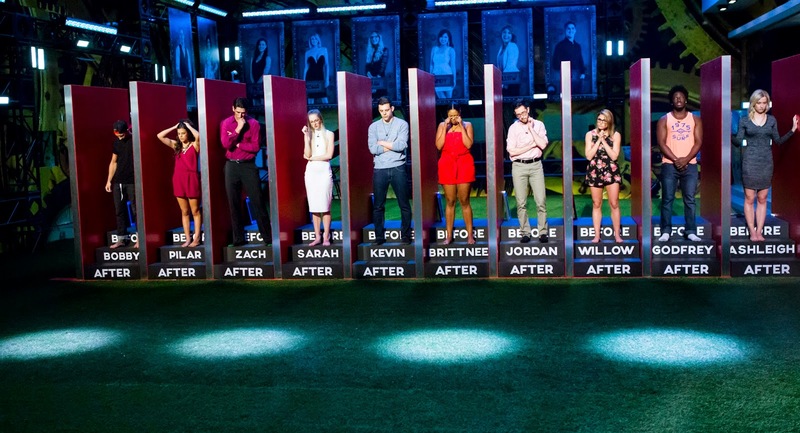 The HoH comp is another Before or After trivia contest. No spoilers, but I will say just one thing. Bruno is going to regret not using that double veto. And that's all I have to say about that.